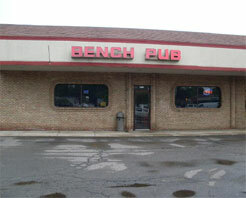 The Bench Pub is a small bar thats located in a strip mall off of 5 Mile and Farmington Road. They have good prices and also serve pretty good food. The staff is friendly and do a good job. The bench pub ranges with all ages of people. They have a dartboard and an internet jukebox for your music requests.